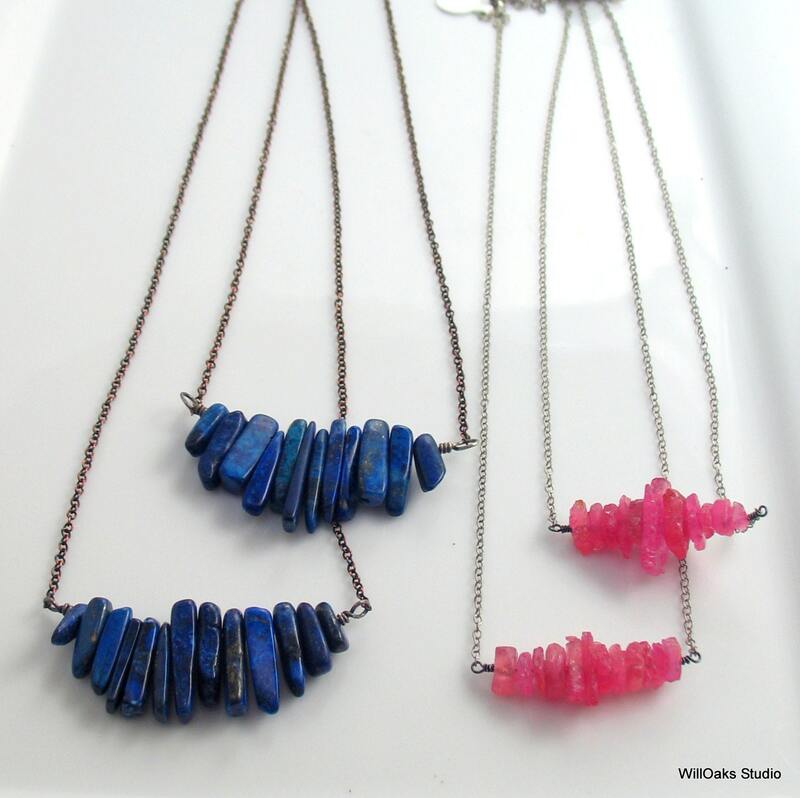 Natural gemstone nuggets are neatly stacked along a sterling silver wire and bound to chain as a rustic bar pendant necklace. 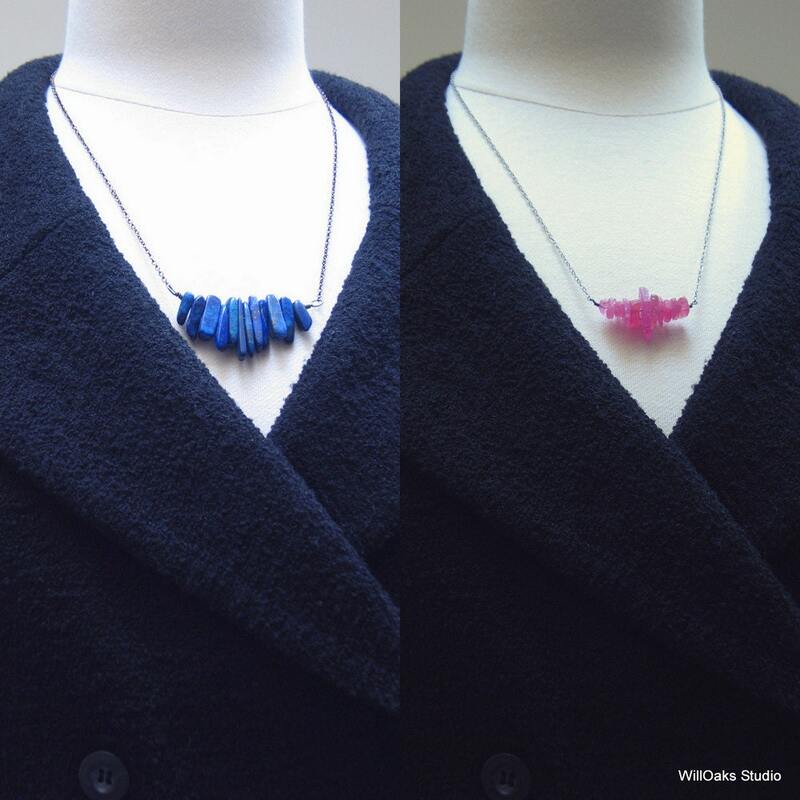 Choose pink sapphires or lapis lazuli rough stones. 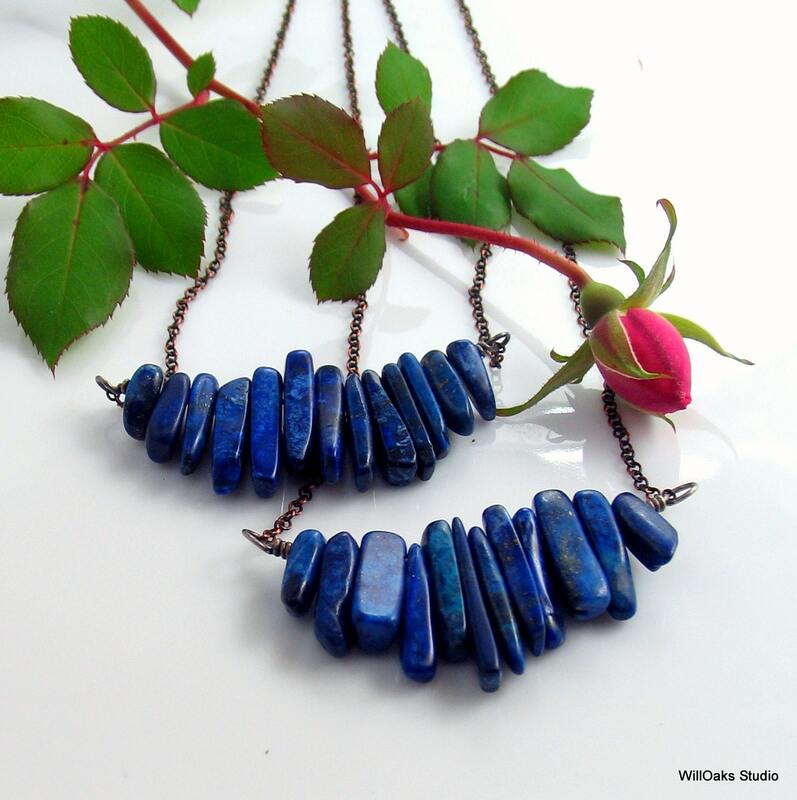 >Natural polished lapis lazuli nuggets with antiqued copper chain. 2 1/4" bar on sterling silver wire for a total necklace length of 22" plus a 2 inch dark oxidized silver extension chain. 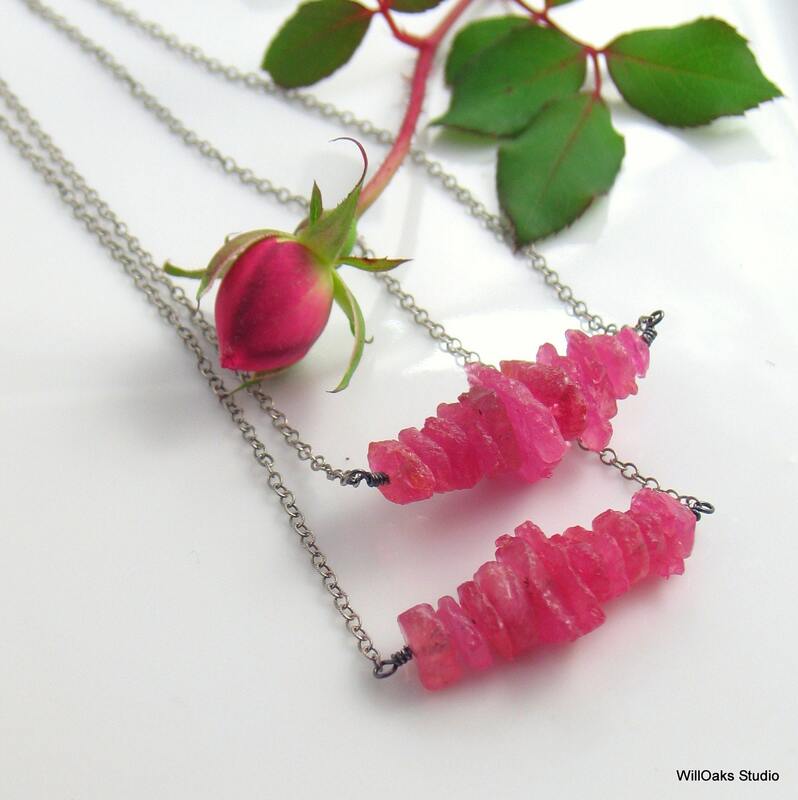 >Natural pink sapphire rough nuggets on a fine oxidized sterling silver chain. 1 1/2" bar on silver wire; a total necklace length of 21 1/2" plus a 2 inch sterling extension chain. 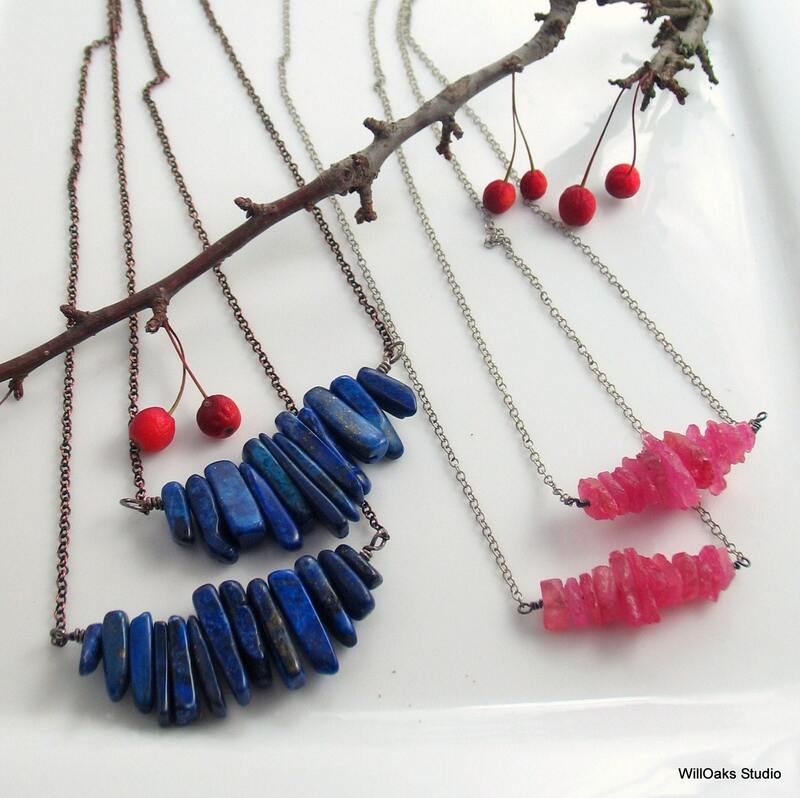 My "Stacked Stone" series is inspired by my life-long love for hiking and mountain climbing; by my fascination with stones stacked as markers (cairns) and fences, by geological formations, and simply by the awesome beauty in small, irregular bits of stone and the challenge to somehow bring the bits together into a wearable art form. Minimal but making an elegant statement as a celebration of nature. I think this item is unique and very pretty.